Early morning at Butterworth loco depot, Transkei, South Africa. 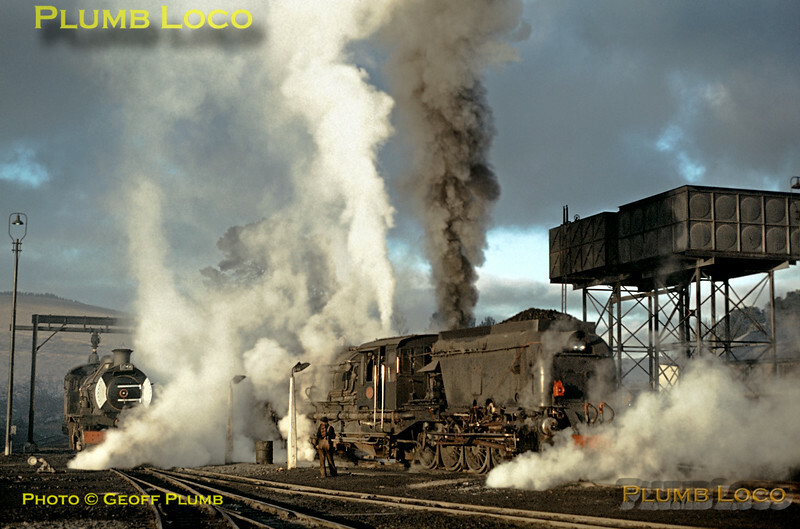 Various locos are being prepared and the condensing steam in the very cold morning air does its best to conceal them. On the left is a Class 14CRB 4-8-2 whilst in the centre is a Class GO 4-8-2 + 2-8-4 Garratt, both unidentified. Beyond the GO another unseen 14CRB adds to the smoky atmosphere. Tuesday 29th August 1972. Slide No. 9379.